Now in its ninth edition, Human Resource Management in the Hospitality Industry: A Guide to Best Practice, is fully updated with new legal information, data, statistics and examples. Taking a 'process' approach, it provides the reader with an essential understanding of the purpose, policies and processes concerned with managing an enterprise’s workforce within the current business and social environment. 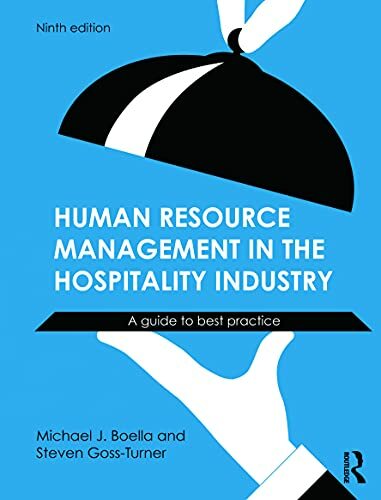 The text explores key issues and shows real life applications of HRM in the Hospitality industry and is informed through the authors’ research projects within Mitchells & Butler's plc, Pizza Express, Marriott Hotels and Café Rouge. Written in a user friendly style and with strong support from the Institute of Hospitality, each chapter includes international examples, bulleted lists, guides to further reading and exercises to test knowledge. Michael Boella's book on HR management has become the established textbook on the subject - as this ninth edition proves. No industry relies more on the people it employs, on their attitude and on their skills. This book covers the wide range of HR challenges facing today's manager, how to deal with them and overcome them. It will rightly take pride of place on any manager's bookshelf. Michael J. Boella is Faculty Fellow at the University of Brighton and specializes in teaching human resource management and law. Steven Goss-Turner is Head of Operations of the School of Sport and Service Management at the University of Brighton.